the bottle says: "makes tap water safe for fish, instantly neutralizes chlorine in tap water, aids in restoring a fishes natural slime coat"
i also have a more expensive product called "Nutrafin Aqua plus, which does the same thing, is used for salt and fresh water fish, neutralizes heavy metals, AND is apparently stress reducing. i just wanna make sure these products are safe for my crab before i use them! Re: can i use Aqueon water conditioner for my crabs water? They’re safe. Most water conditioners used for fish are also safe for hermit crabs. JoeHermits wrote: They’re safe. Most water conditioners used for fish are also safe for hermit crabs. Keep in mind it has to also say it neutralizes ammonia and removes chloramine too. Hermiesguardian wrote: Keep in mind it has to also say it neutralizes ammonia and removes chloramine too. i know for sure it removes chloramine, ill have to look into the neutralizing ammonia part though! thank you! You're welcome. Chloramine is different than chlorine. It has to remove both. 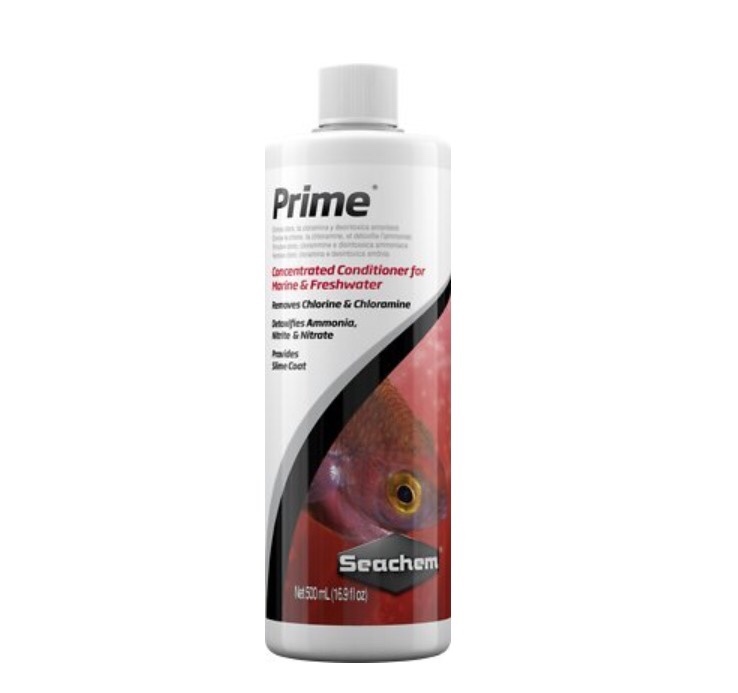 There’s a product by Seachem called Prime that everyone recommends that covers all. Just keep in mind, though, that Prime only binds to ammonia for a few days. If there are large amounts of ammonia or chloramine in your water, you may need a separate product if you’re storing treated water. JoeHermits wrote: Just keep in mind, though, that Prime only binds to ammonia for a few days. If there are large amounts of ammonia or chloramine in your water, you may need a separate product if you’re storing treated water. I did not know that, thank you so much. So I should use Prime with distilled water as well? jstein wrote: So I should use Prime with distilled water as well? No, distilled water is pure H2O. Depending on your situation, it may be cheaper to treat tap water than to buy it distilled. Thanks for the info and help everyone ! Distilled water lacks trace elements, and so is usually not recommended for that reason. It’s not necessarily harmful, it’s just one less source of nutrients. Animals that are used to drinking surface water have adapted to get needed minerals that way. Distilled has no minerals. 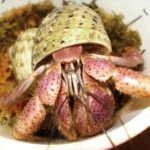 There have been cases of reptiles ending up with severe health effects from being given nothing but distilled, so the same would likely be true for our crabs. However, if using a proper salt mix like Instant Ocean, then the minerals might be able to be obtained that way.